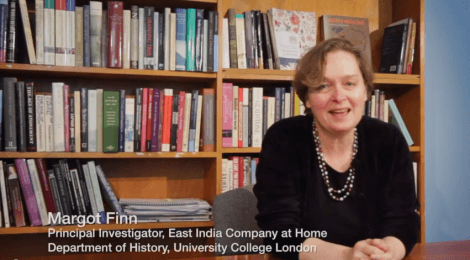 Professor Margot Finn, Chair in Modern British History at UCL, introduces the research project ‘East India Company at Home 1757-1857’. I am compiling our family history and would like to refer to any document (1800 – 1900) regarding the construction of a harbour at Kankesanthurai (KKS for short) in the north of Ceylon. It appears that these documents are not in the British Library. Please inform where the old British EI Co records are held at present. Thank you. The best place to begin looking for the documents you require is at the British Library (www.bl.uk). You can find further details of their East India Company holdings at http://www.bl.uk/reshelp/findhelpregion/asia/india/indiaofficerecords/indiaofficescope/indiaofficehistoryscope.html.